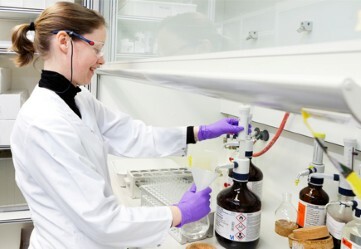 Helsinki, Finland, June, 8, 2017 - Janssen Research & Development, LLC, one of the Janssen Pharmaceutical Companies of Johnson & Johnson, and Johnson & Johnson Innovation, in collaboration with Finnish Innovation Fund Sitra, Tekes – the Finnish Funding Agency for Innovation and VTT Technical Research Centre of Finland, announced today the launch of the Next-Gen Baby Box QuickFire Challenge focused on creating “the Baby Box of the future” to promote child health, detect childhood disease earlier and facilitate healthy parenting. Select finalists will receive up to $350,000 in funding and be provided structured mentorship to help develop and pitch their ideas. Through this collaborative initiative, Sitra, an independent public fund which under the supervision of the Finnish Parliament promotes the welfare of Finnish society, Tekes, a publicly-funded expert organization financing research, development and innovation in Finland, and VTT, the leading research and technology company in the Nordic countries, together with Janssen and Johnson & Johnson Innovation, are focused on creating a better ecosystem for child health. Home-based detection of high blood sugar associated with onset of type 1 diabetes. Home-based assessment of severity and progression of respiratory diseases in infants and toddlers. Emotional and physical well-being of parents and coping skills. Parenting or bonding with newborns and infants. The competition is part of Janssen’s strategic focus to create a world without disease, shifting the paradigm from treating disease to maintaining health through prevention, interception and cure. Following submissions, select finalist(s) may receive up to $250,000 in funding and be provided structured mentorship. Finalists will pitch their ideas at Slush, Europe’s leading start-up and technology event, on November 30, 2017 in Helsinki, Finland. Winner(s) may be offered a contractual collaboration to develop their science/technology with the goal of piloting in Finland over the next 1-2 years. Winner(s) with the most impact through the pilot studies may receive additional funding up to $100,000 to support commercialization with a goal of proof of concept by 2020. At the Janssen Pharmaceutical Companies of Johnson & Johnson, we are working to create a world without disease. Transforming lives by finding new and better ways to prevent, intercept, treat and cure disease inspires us. We bring together the best minds and pursue the most promising science. We are Janssen. We collaborate with the world for the health of everyone in it. Learn more at www.janssen.com. Follow us on Twitter.com/JanssenGlobal. JLABS currently has eight locations in innovation hot spots across North America and produces entrepreneurial programs and campaigns to seek out the best science, like the QuickFire Challenges around the globe. The JLABS flagship opened in 2012 in San Diego at Janssen's West Coast Research Center, and since then, has established two locations in San Francisco - one through a collaboration with the California Institute for Quantitative Biosciences (QB3) and a second standalone facility in South San Francisco. JLABS is also located in Boston through a collaboration with LabCentral, in Lowell, Massachusetts through a collaboration with UMass, in Houston through a collaboration with the Texas Medical Center (TMC), in Toronto through a collaboration with the Ontario Government and the University of Toronto and a new JLABS @ NYC (in collaboration with the New York Genome Center) opening in 2018.